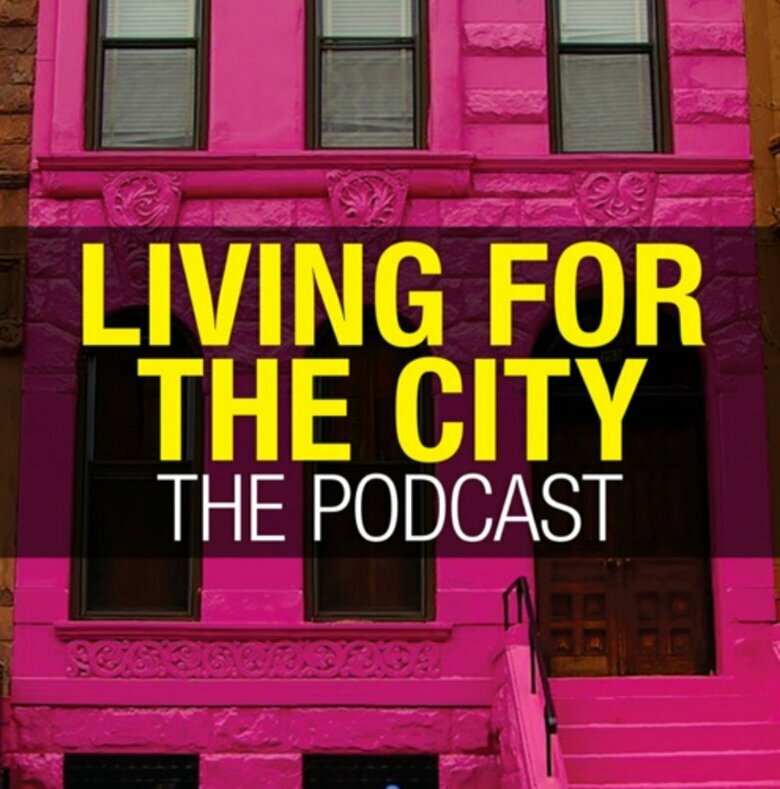 This episode looks at taking a people-centric approach to producing impact for low-income residents. Paul: Marisa, let's put you on the spot first. In its original pitch to be part of the first cohort, Philadelphia saw a great promise in getting low-income residents to act in their own self-interest. Philadelphia will use innovation, including the science of behavioral economics, to put money back into the pockets of low-income residents. We will increase enrollment and help families across the city save their hard-earned money by building awareness of existing programs in high- need communities across the city, reducing the barriers to identifying resident eligibility, making applications as easy as possible. Nigel: Marisa, you and your team undertook some really interesting work in using behavioral science to encourage more people to access their public benefits. In your final analysis – you've been doing this for 18 months or so – does it actually make a difference? Marisa: It did. We learned things that surprised us, helped us change what we do to reach out to folks to let them know about these programs and encourage them to apply. You know, we talked to staff and we had talked to the folks who actually participate in these programs to learn more about what might work. We tested that, we piloted things, and we found things that actually made a difference and increased the enrollment and made sure that folks were getting more benefits, reducing their bills and putting more money in their pockets. Nigel: Theresa, turning to you. Part of the way in which your city and your government have looked at improving civic services and connecting with the public has been to leverage the great civic innovation world that you have in your city. How effective has that been in terms of developing next-generation approaches to civic services? Theresa: It's been extremely effective and very successful. As many people know, great ideas do not just come from one source. What we've been able to do within Louisville is to invite individuals into our community who may have a different perspective on the way in which we can solve some of the community challenges that we face. For example, one of the areas that we wanted to focus our efforts and energy around, through the City Accelerator, was in delivering better fire protection to our low-income citizens, but also [to] all residents within our city. We identified that a lot of the fires in one of our fire districts were starting in vacant and abandoned properties. Now, those vacant and abandoned properties sit very close to homes that are not vacant and abandoned. If the fire there is not detected quickly, it can spread to other homes that could then have a real negative impact on individuals, whether it's their life or their livelihood. It can put them out of a home and a residence, and could create a whole systematic issue for that family and for those individuals. We wanted to look for a way that we could detect fires within those vacant and abandoned properties before they spread to other properties. We thought there could be a way to do this, but we didn't really know, with our own expertise within city government, how. So we put that challenge out to innovators in our community through one of our fantastic community resources called LVL1, which is a maker space. We said, "What we want to do is figure out a way that we could be hearing and learning about these fires quickly." They developed, through the course of an evening, a low-cost smoke detector – something that we could put in a home for less than $50 – that would send a signal through a Wi-Fi network to our emergency resources to let us know that there was a fire detected in a vacant property so that we could respond more quickly. A prototype was developed, and we are now working with that maker-community to figure out a way to produce this at a larger scale and have a real positive impact on residents and citizens – not only in Louisville but hopefully in other communities across the country who likely deal with the same challenge. Nigel:	Kristine, you and your team undertook some really interesting work in trying to determine how and whether design thinking is applicable in local government. What did you learn from that work? Design thinking is a set of tools to come at problems differently – to define those problems differently, to consider them from a variety of angles, to jog ourselves out of just seeing problems the way we always have. I think it's been very effective, but it's also very difficult. We have this way of seeing the world, and often that way is very helpful to us to be able to just get stuff done. Nigel: The concept of being people centered or maybe being human centered in the way we approach our work is a little bit of jargon, to some degree, that we're borrowing from other fields. In your own work, does it actually make a difference? Is there a difference between the way government is currently working, and if we were to adopt whatever people-centric approaches to working government means, would that result in a different kind of work? Marisa: I think it certainly does. For a lot of the work we've been doing, when we're thinking about these programs and the populations they serve, and we're designing them, typically we've had to worry about: What does the legislation say? What are our IT constraints? What are our staffing constraints? But if you bring up the question: “What are the folks who are actually using this program or, you know, being affected by this policy going to need?” If that becomes the first question you ask, it changes how you think about what needs to happen. Certain things we found to be no-brainers. We had a program for senior citizens with an application form, and the font size was 8. It was tiny. That's because we wanted to get it on one sheet of paper and it would get through the system. That worked well for how we were doing our record-keeping, but if you start with the question of: “How is this actually working for the people using this program” you immediately change things. We immediately jump in, redesign the form, and make it easier for the actual folks using the program. It just sort of shifts your framework when you first think about, "What are their needs?" Then secondly, that you actually talk to them and ask them what their needs are. While there are folks with a deep expertise and a real history working with these programs, that's not the same perspective as somebody who actually has to navigate city government. Really asking them what their experiences are and documenting that will bring to light to things that, from the inside, you may not realize. Theresa: I would add that it's extremely important, too, because society is changing so rapidly, and the way in which individuals live really has changed. Part of what we need to do is go to the street, go to the individuals who are receiving those city services and engaging with government on a day-to-day basis, and understand how they are engaging. In Louisville we just announced a partnership with Nextdoor – the community app that is really neighborhood based, and there's so many different ways in which we could use that from a city perspective in terms of answering: “How do we communicate with neighborhoods in a targeted way?” Or letting people know we’re going to be street cleaning next week in your neighborhood, so move your cars up the street. Instead of putting up signs that may get up the day of or just in time before they're actually going to do that – give that notification ahead of time, give a notification from our police department to that neighborhood, in particular, in a venue and a forum in which citizens are already participating. That's just one example, and there's many more; but we really do need to be at the level of, "Where is that happening and how is it happening?" so that we can understand how to deliver services in a much more efficient and effective way for our communities. Kristine: Well, and I think just that fundamental question of, "How do you experience this process, this service, this interaction?" It's definitely for the citizens that we serve, but there's also an internal component of that. We really looked at the budget process and thought, "How do the people who work for metro government experience the budget process? How do department heads experience it? How do front-line workers experience it?" We all get caught up in the policies or culture that we have, but to then just again, as we were saying, to start from that fundamental walking it through, sometimes literally, which we do with design thinking, walking through these processes. What happens along the way that's helpful? What's a hindrance? What did people not even know was happening until they wrote it down or experienced it or recorded it? To get to a place where there's a constant iterative process that goes back to that, that doesn't just do it once, but then goes back to, "How are people experiencing this space or these processes?" If we could get to a place where that was a constant ongoing approach to governments, I think it would dramatically improve how we serve people and how we spend the people's money. Nigel:	How do we move from if to making that more part of the culture? Baking it into the system? Is that a doable thing? Theresa: It is a doable thing. You have to build the systems and processes within government, on one side of the equation, to make that be the norm. Kristine was talking about the budget process and the way in which folks legislate and develop policy. That has to have a systems approach that incorporates this design thinking, if you will, or human-centered exposure to the individuals who are receiving those services, so that you bring their voice into the process. On the other side, you need to build the capabilities and the comfort level and the culture of government to do this. You need to have those success stories where you say, "We are working government to deliver these services to citizens in a way that really impacts their lives in a positive fashion." We want to celebrate those stories so that we build this culture that has the government employees embracing the idea of going out and speaking to citizens in a dynamic way and in a way maybe they never have before so that it is replicated and persists past any one administration or any one project. Marisa: In Philadelphia, it's been very similar. It's a lot about giving folks the tools that they can use across situations, so that it's not a one-time project or ad hoc, "We did it this time," but almost going forward [say], "Oh, well, last time we did a focus group with community members. Aren't we doing one again?" 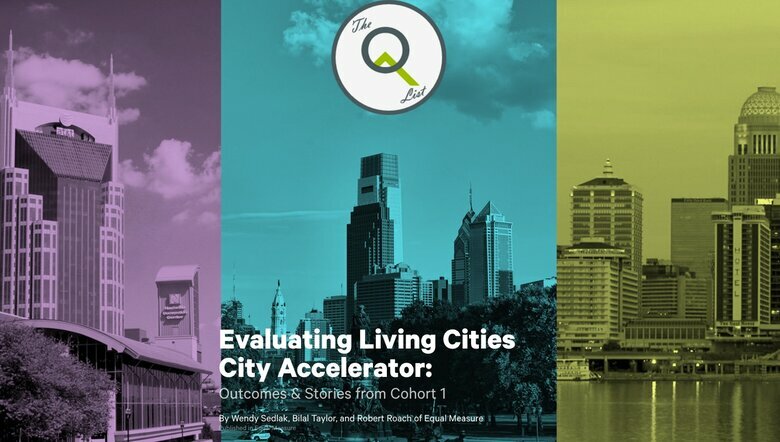 We've done trainings around behavioral economics that started within the departments that were part of the City Accelerator project, but have now really expanded throughout the city of Philadelphia's government. Making sure that we're training and preparing our employees to do this is really key. It's something that we've placed a lot of emphasis on so that as administrations change, as departmental leadership changes, there remains a core group of folks who have those skill sets and have those experiences doing that throughout city government. Nigel:	Has this way of thinking and working changed the way in which you hire new people? Theresa: It's changed some of the positions that we've posted and some of what we're looking for. 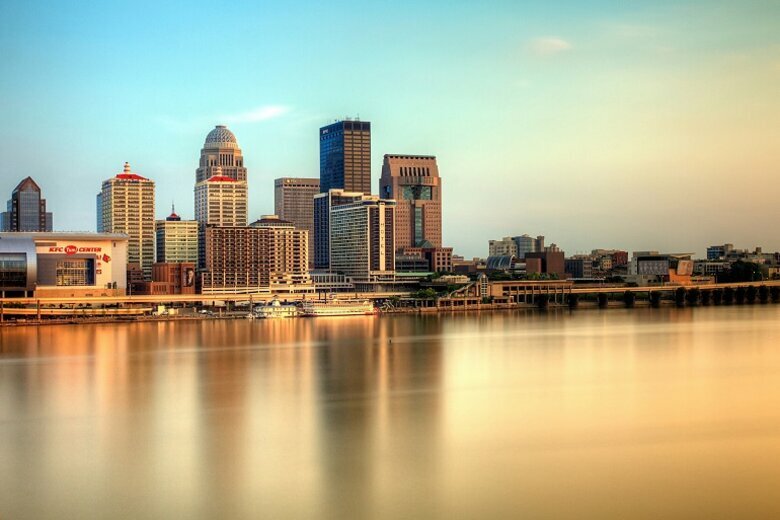 Really, we now have in city government, two full-time innovation project managers that can help to further develop the practice of thinking in this way and operating in this way and going out to the 26 different departments that we have across Louisville Metro Government – everything from a police department to a zoo. They can work with the employees within those departments, the leadership within those departments and the citizens affected by those departments to develop the way in which they may do this in an initial project so that they can then replicate that going forward. I do think you need to have some dedicated resources to make this model work at the outset, because it is new. You need to have that on one side, and that will determine who you need to hire for those types of positions. Then on the other side, I think you're just looking for folks who are open to changing the status quo. Whether those are the folks who exist in government today or the folks that you bring in into the future, you want people to embrace this new model that government can be responsive to the needs of citizens in a way that traditionally people don't think of government as being. Marisa: In Philadelphia, the City Accelerator project has actually had a really concrete impact, in terms of hiring and what we're doing. Right now, we have an open job listing for the administrator of taxpayer assistance programs. That’s actually a new position that didn't exist before, because we realized that we really want somebody who's constantly going to be looking at these programs, evaluating how they're working and deciding what we can do better. We found we need somebody accountable, and we're looking for somebody who does have those experiences to be able to do that. It really has changed the way we think about, "How do we administer these programs and what staff do we need to do that so that we're sort of reformulating exactly how this will work?" Kristine: I think we've talked a lot about policies and processes, but for me it's also about: “How do you create, sometimes one by one, people who just think differently, ask different sets of questions?” And then that becomes their way of being whether or not there's a process or a policy or a program in front of them. I think that what we really emphasized in our Ideas to Reality innovation incubator is people. A lot of people come through that program, sometimes people who've worked for the city for 35 or 40 years, and said, "I see things differently than I saw them before." You need to get more folks out there who are then bringing that set of questions to a hiring process and making sure they’re hiring for that kind of quality. It’s really about, “How do you find people who are curious and asking questions and willing to take risks and coming at problems at different ways?” You can absolutely have impact if you've got some people in the hiring spot who are making those decisions. 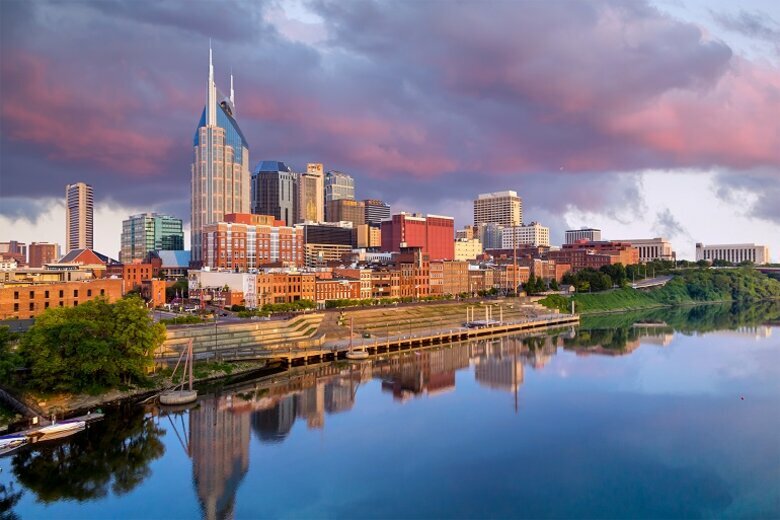 Somebody who I only worked with pretty tangentially in Nashville is our relatively new juvenile court judge and she has just changed some things pretty dramatically. Now, one of her main assistants, main deputies did go through Ideas to Reality, but they're just creating a culture where, "This is someone who we’re either we're hiring or we're holding onto because this is a person who's been waiting for 25 years to be able to have this opportunity, who's had to put up with a lot of bureaucratic nonsense and risk aversion." It's not just about, "Let's get the 25-year-olds." It's like, "This is a 60-year-old who's been waiting for a chance to really do these things." She's really creating a team that's doing that in one of the toughest places you can imagine. Juvenile justice is such a difficult space. So how do you even make sure that we get more people who are like that or who are looking around and saying, "Here's who I'm going to promote, here's who I'm going to encourage and here's who I'm going to let go." It's not just creating new positions to layer onto the old bureaucracy while not asking for any accountability from anybody else. That's super hard. Nigel:	Does the gig economy play into this? Bringing in fresh people for a season with no expectation that they would be a permanent part of government? 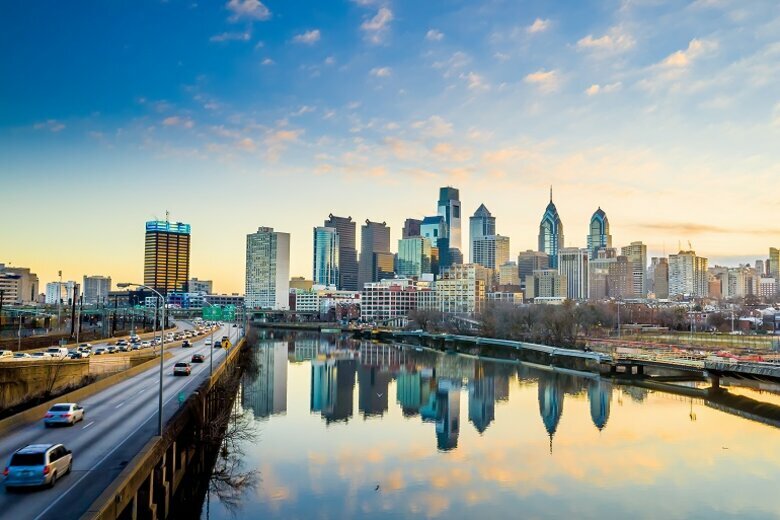 Marisa: In Philadelphia, it's been less about bringing in people for short-term positions and more about coming together cross-departmentally around ideas or projects and bringing in expertise and perspectives that you don't normally work with. Through this project, the Department of Revenue now has a real sort of interest and focus on behavioral health, which is surprising and not where we thought this project would go. Through this project, we've worked with the Scattergood Foundation – a foundation that is committed to behavioral health outcomes. They're the ones who really pointed us in the direction of a trauma-informed approach to customer service, really thinking about what has happened to people, what have their experiences been, and how that's going to affect how they interact with our employees. That's been really unique, so we're reaching out for that short-term sort of information, and we're not scared to sort of steal ideas or work together on a short-term basis and then bring on a vendor who can then do that training. It's not so much about having folks working for a short period of time, but expertise for a short period of time. Theresa: I would agree. The same has happened in Louisville where it's less about bringing in someone through the gig economy that's just going to do project-based work for a short or limited period of time, even up to a year, and then leave. Because that does not feel permanent, and the work of government is permanent. It's been much more around building the capabilities of the employees who exist within the structure or who we're hiring to be long-standing employees within government, and making sure that they have the skills and capabilities to continue to operate in this way. Anyone that we bring in on a spot-basis is really to do that capability building and to be a partner. Then a lot of the other partners are really pro bono partners who come in from the private sector to say, "This is important to our community, and I want to work with the government to be able to help advance this practice or advance this challenge within our city." We've been really pleasantly surprised to see the number of people who want to do that out of the goodness of their hearts from a standpoint of, "If our community is thriving, then my business is thriving, my employees are thriving, so I want to see the city government solve these challenges, because it's just going to be good for business, too." Nigel:	Put on your resident hat, all of you as residents of your cities, but also more generally, the people that we serve through our services. When you think about this more people-centric approach to government, what kinds of experiences would you want as a resident or, either now or in the future, because we've only been doing this for 18 months. What kinds of experiences would you want the public to have once we've begun to more fully transition to this people-centric government? Marisa: As a Philadelphian and looking at this project, one of the things has been to view our residents and the folks accessing these programs as individuals who are trying to get a whole range of services from city government. They're not trying to access one program, then another program and another. They don't really care about which department's in charge or how they access it, whether it's through a nonprofit partner or coming directly to the city. So just as a resident, that's similarly important to me even though I probably know a lot more about city government than, you know, my next-door neighbor. Still, it can be hard to navigate who I'm supposed to call for a certain problem. Increasingly, across government, we're sort of rolling out new websites that are really more about how the user's experiencing city government as opposed to how we're structured internally, and just trying to keep that mindset in place that, how we think of ourselves in departments and units and things like that matters very little to the folks who actually use our services. Kristine: I think that part of it is: “How do we get away from that siloed thinking, certainly department to department, sometimes within departments, so that people experience government as a cohesive whole?” I mean, they think of us as metro government; they don't necessarily think this is social services or this is the Metro Action Agency or this is MDHA. They don't experience government that way, but that's how we operate. Getting to a place where we are operating internally the way they experience us externally would be a part of it. A lot of our work has focused on projects related to very vulnerable populations. One of the projects that we had through our innovation incubator addressed people in our jail who had mental health diagnoses but who weren't receiving the benefits they really needed. We need to take off our privileged hats and put on the hat of those folks and think in a different way. It’s the with our homelessness services and other aspects of what we do. We have a project also on frequent fliers in our emergency rooms and how we can have a holistic approach to those folks so that they're experiencing a different kind of approach to their care and needs. Then I know that we'll really be in a space. Somebody mentioned earlier – I think it was you, Theresa – that if we're serving those most vulnerable populations well, the hope is that if we can do that with folks who have addiction and significant mental illness in our jails, hopefully that really shows how we could do it for potholes and everything else. Theresa: I would say, as a citizen, I want to be able to expect the best from our government. I want to be able to expect high customer service, a nimble and responsive government that works for all residents within our community, and that allows all residents to have an avenue and a pathway to reaching their full human potential. I think traditionally we've had this real tension with what we expect from government. We expect government to do everything from pick up our trash to be there when we are having our worst day, when our child needs an ambulance or when our husband or spouse or significant other needs some medical care, or we need a police officer at our front door. We then, in the next breath, talk about government being bureaucratic and slow and inefficient, and yet we have these really high ideals, but then we have these really low expectations or things that we just take as the norm. I know in Louisville, what we're trying to do is raise that expectation for citizens to feel that you can be proud of your government and of your city, and you can expect a lot more. We're there to meet that call, and we're continually working at improving the things that aren't working for everyone within our community. Paul: In terms of those raised expectations, we'd like all three of you to come back next time as we explore this idea of becoming public entrepreneurs for the good of the cities' low-income residents. Thank you for this one. Please come back next time Theresa, Marisa and Kristine. Nigel, thank you for this one. We will come back and talk about that notion of public entrepreneurship next time on Living for the City.